Camps in your neighbourhood ! One-week sessions, performances every week. Our experienced, caring staff will introduce your kids to stage performance & guide them toward self-expression. A great confidence-builder ! True North Sports Camps offers baseball, flag football, basketball, soccer & multi-sport summer day camps and year-round clinics for boys and girls ages 4-14 in Toronto, Etobicoke and Markham. 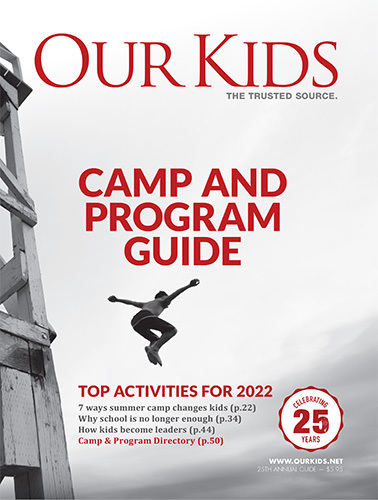 Day camps and overnight programs in Ontario where kids aged 4 to 14 have fun in French. Grouped by age and skill levels, campers participate in games, sports, crafts, language development, water day and much more. Guided by the Ivy L.E.A.F schema: Learn. Enjoy. Aspire. Fulfill, which is a curriculum designed by Mark Moore and his brothers, Steve and Dominic, all who played Ivy League hockey and made the NHL. Richmond Hill’s summer camps are award-winning! Campers will enjoy fun activities that will engage your child's imagination and unleash their creativity! Specializing in English horseback riding for beginners to advanced, our camp promotes a positive, hands-on learning experience. Daily busing from Toronto & York Region (5 stops). Email for tour, or visit our Open House! Bayview Village Junior Tennis Camp offers specialized tennis lessons and summer camps for players of all ages and all levels: beginner, intermediate, advanced and competitive tournament. Teacher owned day camps in York Region for children ages 4 - 16 offering sport instruction in over 12 different sports and leadership training in a fun environment. We teach life through sport ... and life is fun! This fun-filled adventurous day camp allows children aged 3-10 to explore a 12 acre outdoor campus (Richmond Hill) through a variety of activities. A traditional day camp with weekly field trips and a wide variety of activities. 34 camps offered throughout the GTA. Government licensed programs with qualified staff. Open 7 am to 6 pm daily. Daily snacks provided. How do you find the right summer camp in Markham? Start with the Camp Expo held annually in downtown Toronto, the right place to find the right camp. Camps from across the GTA, including numerous from Markham, appear at the expo every year. Here, you can meet face to face with camp leaders, learn all about what each camp has to offer, and have all of your questions answered. One of the many great things about this expo is that you can meet several different camps all in one afternoon. This one-of-a-kind expo, held every February, is immensely popular. Book your ticket as soon as possible. At our sister site, you can get all the details about the Camp Expo. If you can't make it to the expo, many camps listed above offer information sessions where you can meet with representatives of the camp and have your questions and concerns answered. Of course, you can research and compare camps listed above, using the tools on our website. Art camps are typically quite popular. Some Markham camps are listed above, or you can consult our complete list of kids' arts camps, including choices within the city of Markham or not far outside its borders, in Vaughan, North York, Scarborough, Stouffville and other nearby boroughs. To follow from more specific artistic pursuits, we also list theatre arts camps, dance camps for kids and more. You don't need to restrict yourself to Markham! Learning camps in the city focus on the needs of young scholars who crave some summer time intellectual stimulation. Kids can also get extra tutoring during the summer months at camps that focus on specific subjects including math, science and other different disciplines. Follow these links to find bigger lists of academic summer camps, inclusive of Markham and beyond. Still more related pursuits include computer programming camps and game design camps, to name a few. STEM summer camps follow from this increasingly popular integrated curriculum approach. Technology camps increase in popularity all the time, of course. Finallly, some related programs focused on fun-learning (perhaps oriented toward younger kids in Markham) include LEGO camps and Minecraft kids' camps. Sports camps engage kids athletically, with Markham being home to some excellent basketball programs and soccer programs. While some of those discrete to Markham are found above, you can also search our broader lists of sports camps for kids, including many variations like kids soccer camps and basketball day camps. PA Day camps in Markham are another variation of kids learning program that can help augment their regular school education or offer them an athletic or learning outlet not otherwise available to them. Find a broad list of these PA day camps including many throughout the GTA, as well as elsewhere.